Reduces inflammation and eliminates odor – Vetericyn inhibits the release of histamines which cause chronic wound inflammation. Wound odor is also eliminated. Accelerates healing time – Wounds treated with Vetericyn have demonstrated a reduction in healing time of up to 60 percent. 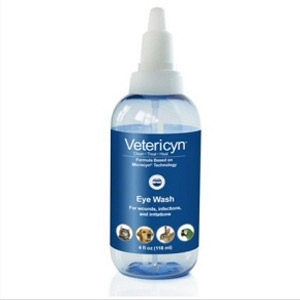 Safe as water – Vetericyn is pH neutral and can be used safely in the eyes, mouth and nose without stinging, irritation or shock.